Ice damming can really do some serious damage to your Long Island home. It can ruin your roof, ceiling, walls, and floors, and it can be extremely expensive and inconvenient to fix. 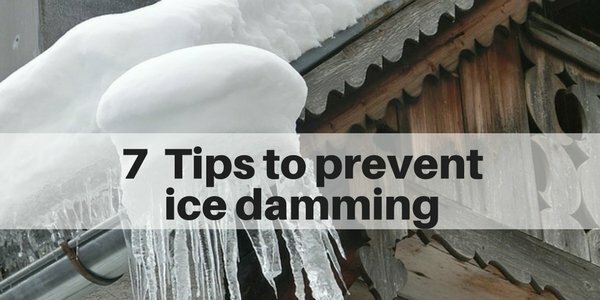 I’ve outlined some tips for ice damming prevention as well as early warning signs that an ice dam may be developing. The best solution is preventative maintenance and the fall is the best time to address the issues and prevent ice damming that may occur in the winter. Ice dams form when melted snow refreezes at roof edges. The ice accumulates and prevents melting water from flowing off of the roof…and instead, it flows through the roof and then into your home. Each year, insurance companies pay millions of dollars to repair the damage. What causes Ice Damming? How do ice dams form? Typically, when you get ice damming, the upper parts of the roof melt first, due to heat that escapes from the house (usually through the attic). The lower part of the roof (along the eaves) is colder as the overhang is exposed to cold weather on all sides. This is where the dam occurs. The water then flows through the roof and into your home. This results in stained and damaged ceilings, peeling paint, and damaged floors and walls. Occasionally, mold can also develop – either within the sheetrock on ceiling, walls, and floors or in the insulation. Very often, when you get ice damming, the shingles on your roof break and become dislodged. Unfortunately, you may need to replace the roof, and this can be expensive. You will likely need to get your ceilings and walls repaired, including replacing portions of sheetrock and insulation. Of course, you will need to repaint, and often you may need to repair/replace flooring, as well as furniture. Not only is there a lot of repair work, but the repair needs to be done in a sequential process, starting with the roof and working your way downwards. And, as most ice damming occurs in the winter (obviously), it’s often difficult to repair/replace the roof until the weather gets warmer. Most products require a minimum temperature of 45 degrees, so you may need to wait until the weather warms up. 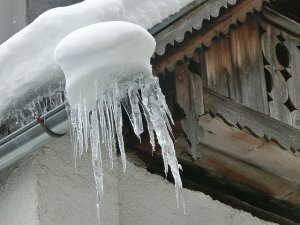 The real key to preventing ice damming is simply to keep your attic and roof cold. Typically, after a snowfall, a cold roof will have a thick blanket of snow. But, a warmer roof will melt the snow in some portions and you will have clear spots where the snow has melted off. You may even see icicles hanging from the eaves. This is a sign that you have a problem. There are really 3 main components to preventing ice damming: 1) Insulate, 2) Ventilate, 3) Seal air leaks. You may want to hire a professional to do an energy audit and check the depth and consistency of the insulation. Consider upgrading attic insulation to about R-40 and plug any leaks. Also, make sure the attic is well ventilated. It’s generally easier and safer to hire an expert on this, as you won’t save much money by doing this yourself. Also, this should save you money on your electric bills as well as increase the comfort in your home, especially during the winter and summer months. A quick warning: Check all combustion appliances (e.g. gas, furnace, oil, water heaters, etc.) for back drafting. If these appliances aren’t drafting properly, they can dump dangerous waste gasses including Carbon Monoxide which can be deadly. They can also lead to explosions. So double check these. 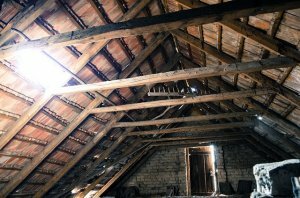 In a typical home, around a third of the heat loss is through the attic ceiling. A good portion of that is due air leaks…gaps in the drywall, cracks around light fixtures, chimneys, cracks around plumbing pipes, access hatches and other ceiling penetrations. These cracks are often challenging to see and fix as they are behind insulation or at the corners/edges of the low roof angles. But it’s important to detect them and then fill these leaks (usually with foam or caulk). Folding attic stairways and recessed light fixtures also need to be insulated. You’ll be happy to know that in addition to preventing ice dams, you will also benefit from reduced heat and AC bills. A ridge vent paired along with continuous soffit vents allows cold air to circulate under the entire roof. This will help even the temperature on the roof and make it more consistent with the outdoor temperature. You want the whole roof surface to match the ambient outdoor temperature. Skylights and dormers often let heat escape, so check these areas as they are likely to have poor insulation. Also, if you’ve had any additions to your home, check these areas, as sometimes the contractors don’t add the proper amount of insulation (or forget to do it). Make sure that if you have ceiling lights or ceiling fans below an unheated attic space that you add insulation above them. These areas are often overlooked. In addition, be sure to check the insulation around the edges of the walls/corners. Also, check the flashing around any chimneys you have. 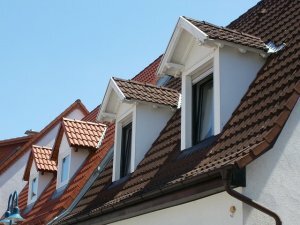 This solution only works if you are replacing your roof (or building a new home). Spend the extra money to get an ice and water barrier underlayment that will waterproof your roof. This extra layer goes below the shingles. Now, while this will not solve the underlying heat loss problem that causes ice damming, it can reduce the impact of the snow and ice (and hence water damage). If you do this, you’ll want to use a special snow rake designed for this. Other types of tools (e.g. hatchets, ice picks, chainsaws, etc.) may damage your shingles and cause more damage which will then turn this into a vicious cycle. This is a tedious (and cold process). You should only do this for single-story homes. Do not attempt to use a snow rake while standing on a ladder (it’s dangerous). Be super careful if you try this yourself. Just to be clear, contrary to popular belief, clogged gutters do NOT cause ice damming. However, you should be cleaning your gutters. It will help reduce damage if you get ice dams. 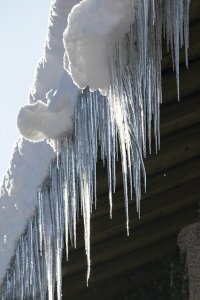 Gutters can concentrate ice and water from the eaves. As the gutters fill with ice, they tend to bend and rip away from the house. This, in turn, brings the fascia, fasteners, and downspouts along with it. You should be cleaning your gutters every fall anyway, just to get rid of the extra leaves/dirt as this will aid water flow during normal rains (and reduce other water damage you can get in your Long Island home from diverted water). Whatever you do, be sure to address the root cause. Ice dams are formed by heat loss from the house. Solve the underlying issue, rather than placing a band-aid on it and just doing a short-term solution. If you do this, you will have the same issue next winter (and it may even get worse). Focus on insulation, ventilation and preventing air leaks. If you need to replace the roof, do it right and take the extra step to add a waterproof layer beneath the shingles. 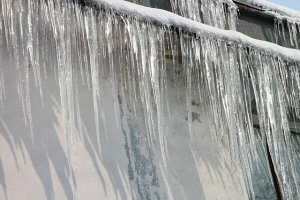 What to do if you already have an ice dam that’s leaking? If you already have an ice dam that is leaking into your home, then the best way to prevent additional damage is to get the snow and ice off the roof very quickly… Your best bet is to hire a professional roofing company so that they can steam it off. Do not attempt to do this yourself as it may be dangerous and you may make the problem worse (e.g. damaging the roof more…not to mention getting hurt in the process). The roofer has the right equipment and they should be licensed and insured. The steamer is similar to a power washer, except that the water is hot. this melts away the ice WITHOUT damaging the roof. If you attempt to chip the ice off with a hatchet or ice pick, you can easily puncture the shingles and this will make things even worse for the next snow or rainstorm. If you have a vacant home and you get ice damming, or other sorts of damage, you may be out of luck. Most people don’t realize that if a house has been vacant for more than 30 days, most insurance policies will NOT cover you for any damage. If you have a vacant home (e.g. due to a death in the family/inherited house, renters have moved out, you already moved to a new house, or if you are a snowbird, you are required to notify your insurance carrier and purchase vacant home insurance. Vacant home insurance is more expensive (usually 1.5 – 3 times the amount that you would pay for an occupied home). So, call your insurance company within 30 days of a vacancy of any sort. What if your insurance won’t cover the damage from ice damming (or what if you don’t have insurance) and you can’t afford to fix your home? Sometimes in life, you find yourself in a pinch. You can’t afford to repair your home, and you’d rather just sell it. But, you can’t sell it until you fix it. And, you can’t fix it without the money. It feels like a Catch 22. 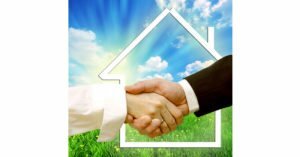 There are many times when people need to sell their house quickly (e.g. 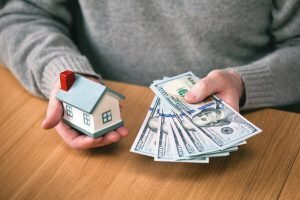 after inheriting a home, after a divorce, if you relocated and bought a new home (for a job transfer), or you’re behind on the mortgage or you just need the cash from the house). 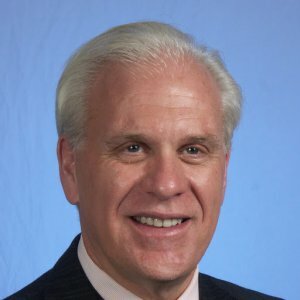 And, of course, when ice dams and other disasters happen, it may increase the need to sell quickly…as well as delay the process. If you live on Long Island and find yourself in this situation, we at Long Island Cash Home Buyer LLC can help. We will buy your house “as is” and buy the house for CASH. This way you won’t need to pay for the repairs, nor come out of pocket for additional costs. We can usually close in as little as 2 to 4 weeks. And, then from there, you can put this headache behind you and move on with the rest of your life. 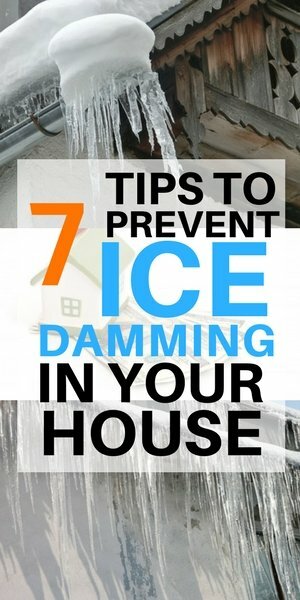 Does your Long Island House have ice damming? Do you have extensive damage from ice damming? Sometimes even the best precautions aren’t enough to protect us from Mother Nature’s destructive forces. If your house has been damaged by ice damming or frozen pipes, you may find that the repair costs are exorbitant.